is certainly one of the heavens' most exceptional regions. It is easily observable naked-eye in the sword of Orion's belt. 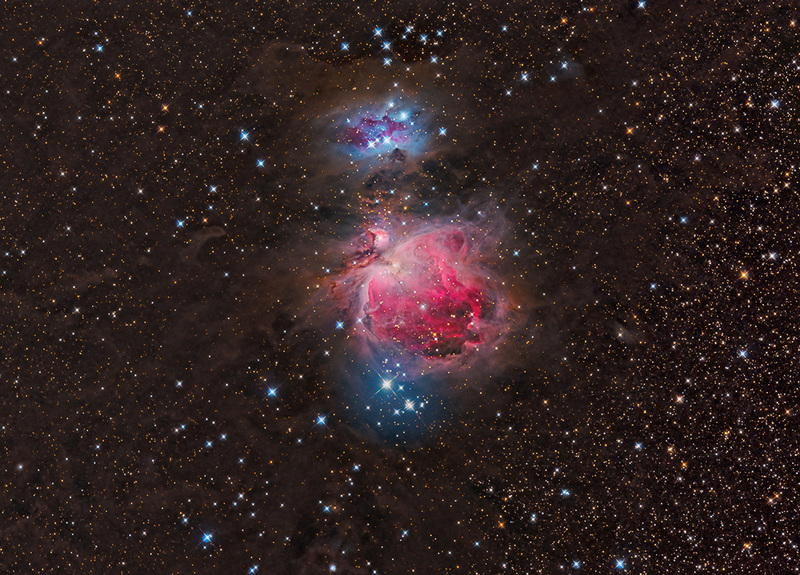 M42, the larger emission region below is a stellar nursery where new suns are being birthed. The reflection nebula atop is NGC1973/5/7, commonly called The Running Man or Ghost Nebula. Do you see his outstretched arms and long stride in the magenta core of the blue clouds? I am indebted to my friend Stuart Heggie for this fine data.